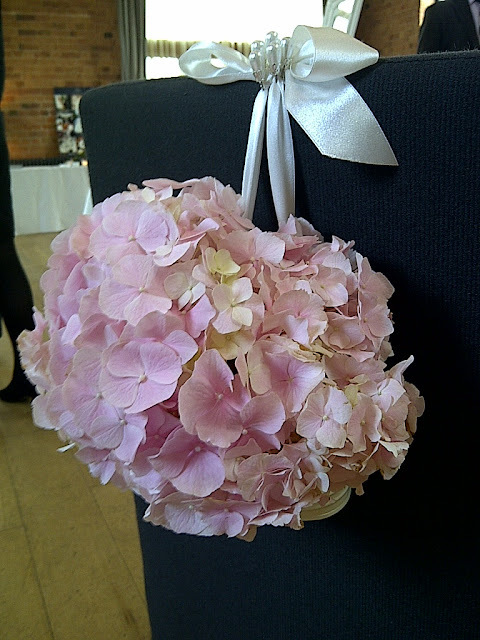 I had a great time last weekend at The Carriage Hall Wedding Fayre meeting lots of lovely brides who always inspire me with their dream wedding ideas! 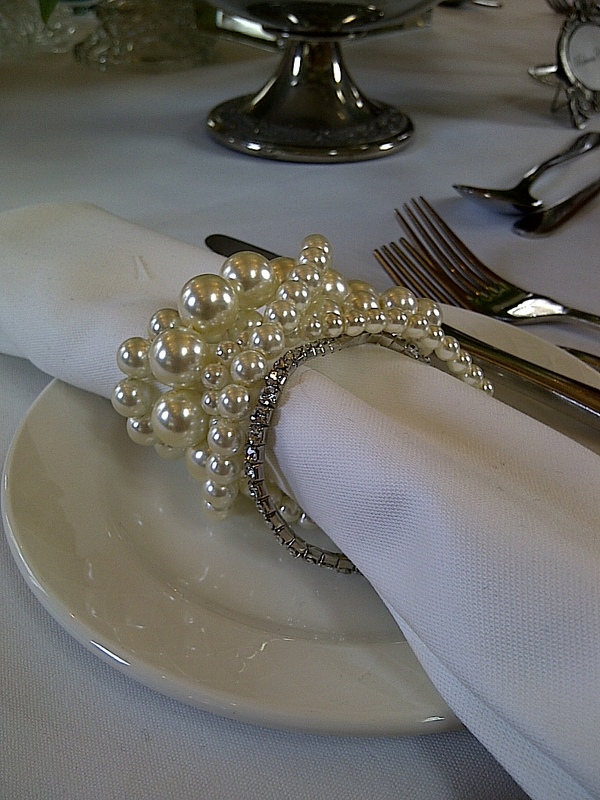 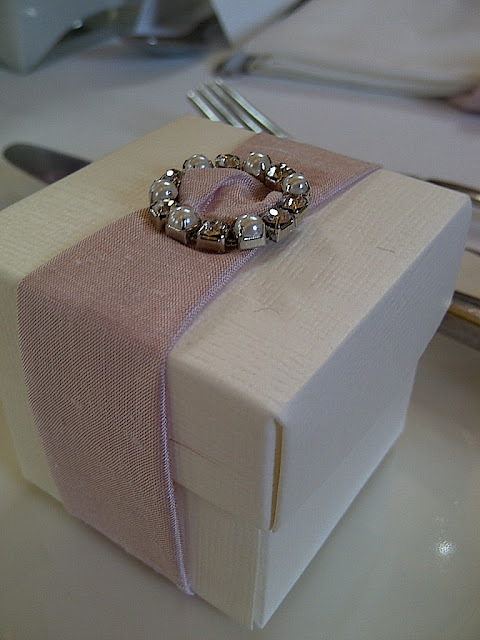 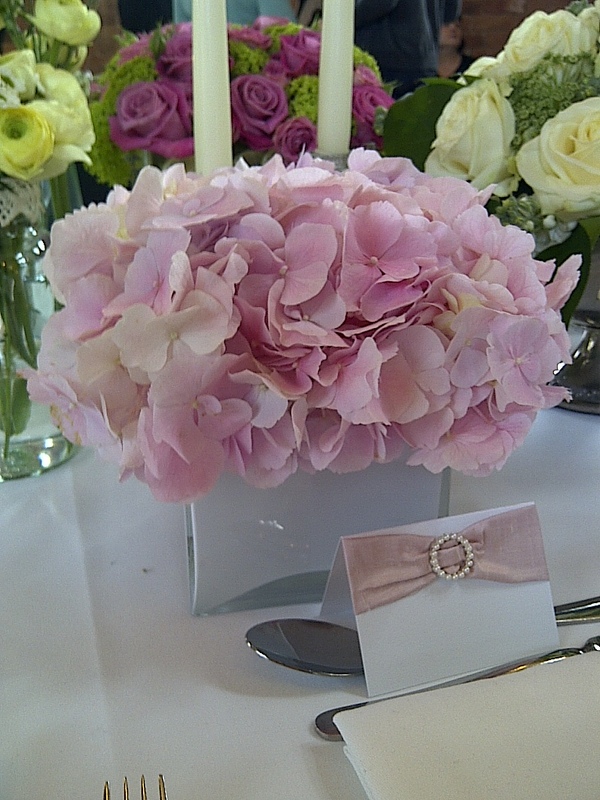 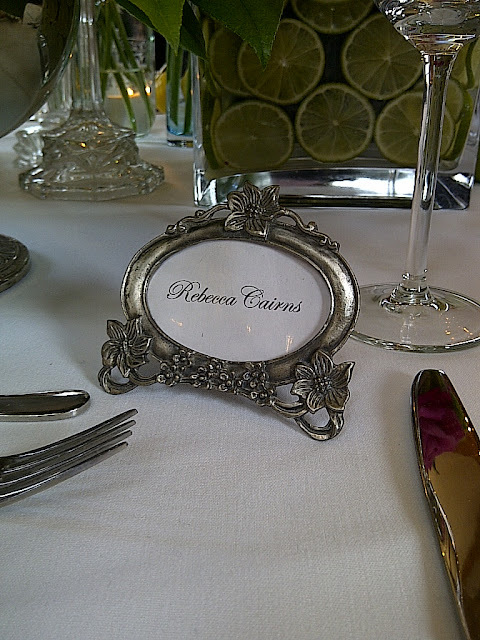 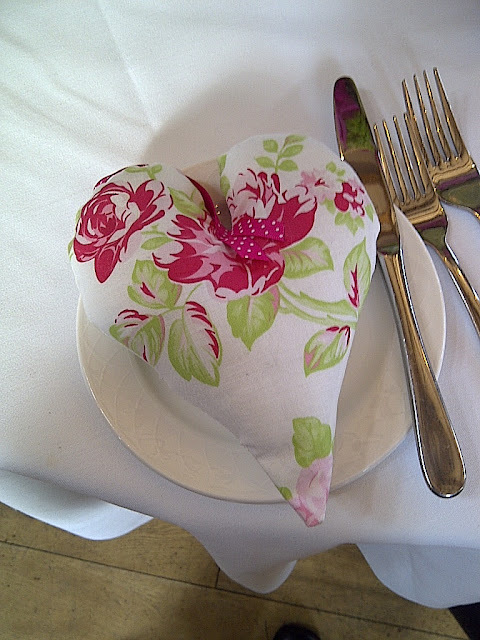 I dressed a table with 4 very different place settings to hopefully inspire more ideas!! 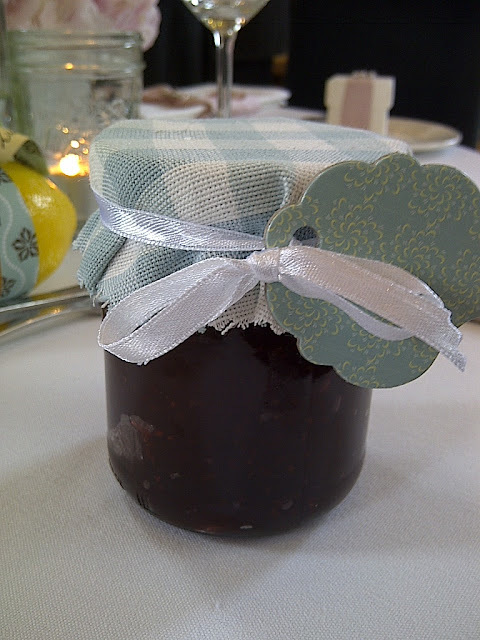 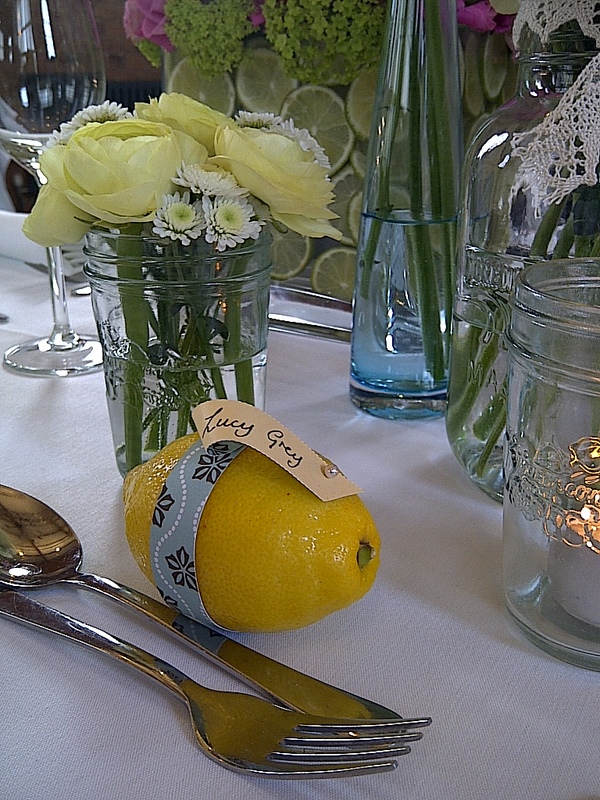 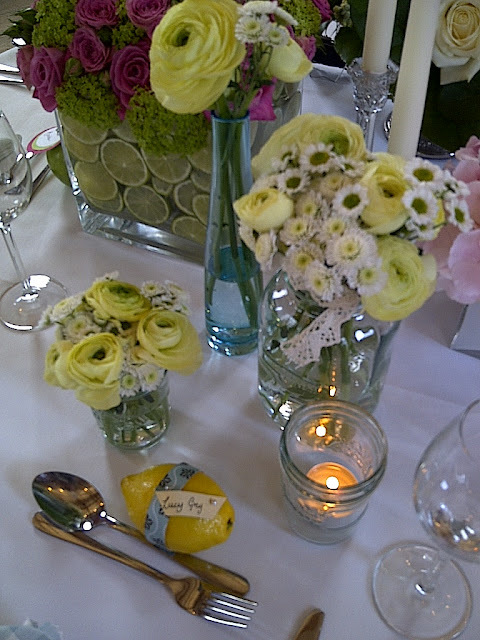 A summer garden wedding with lots of personal touches inspired this blue and yellow theme using jam jars to hold bunches of freshly picked flowers...lemon place cards...pin wheel napkins...and favours of lovely home made jam! 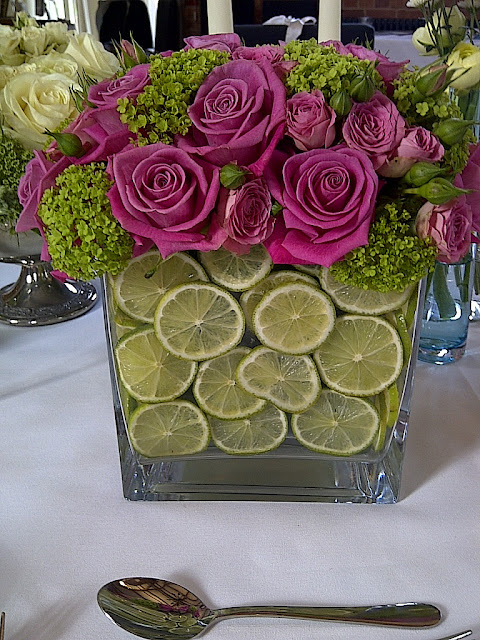 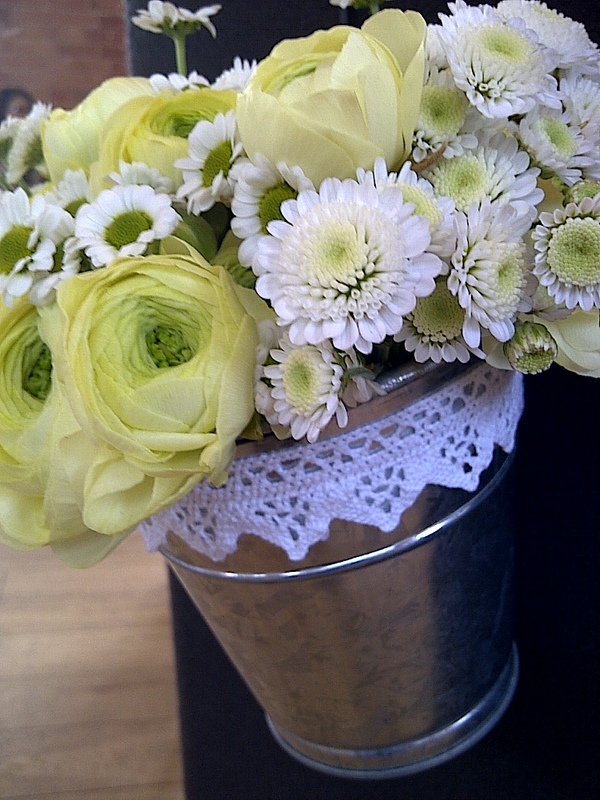 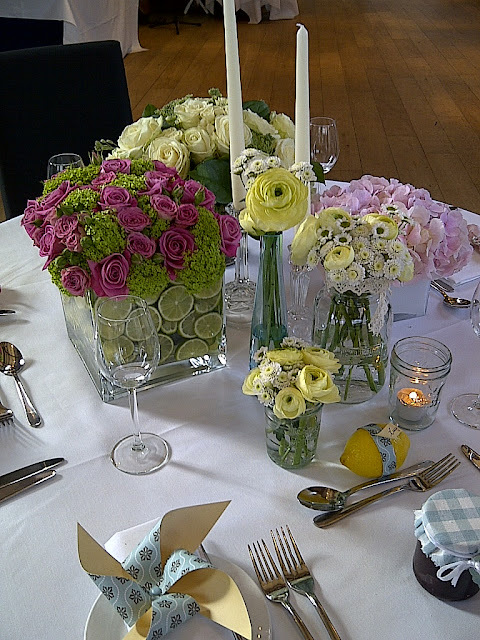 For a bright funky wedding with a bit of a twist I added sliced limes to this arrangement of hot pink and lime flowers. 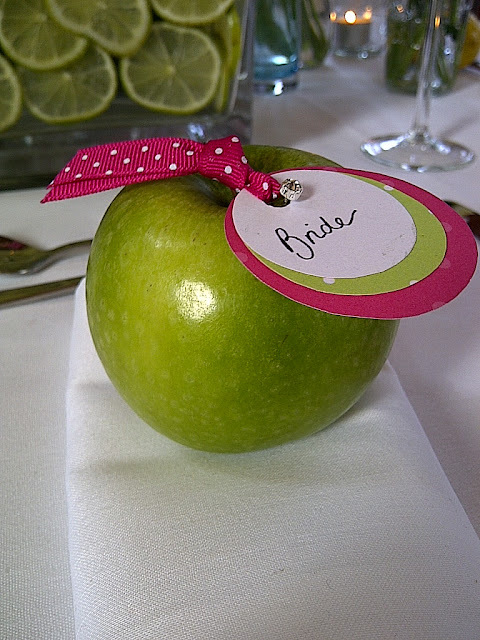 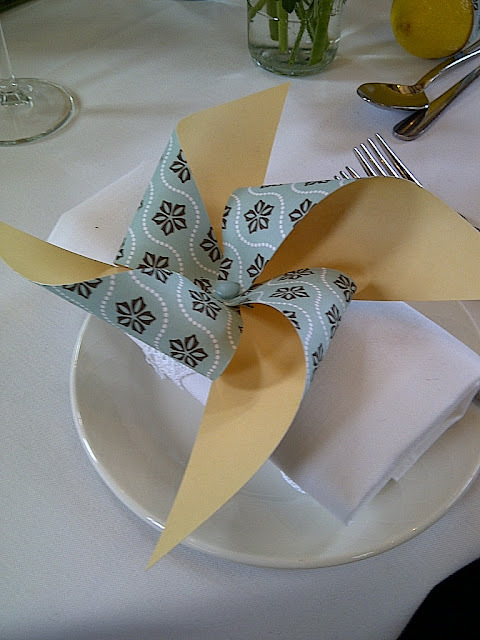 How about a quirky apple place card and a lovely fabric heart favour for your guests? 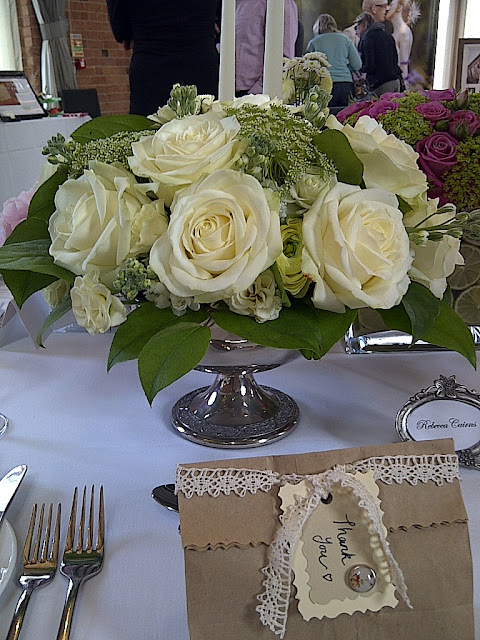 A more traditional, classic arrangement of white roses and stocks, vintage style favours, pearl and diamanté napkin rings and vintage frame place cards! 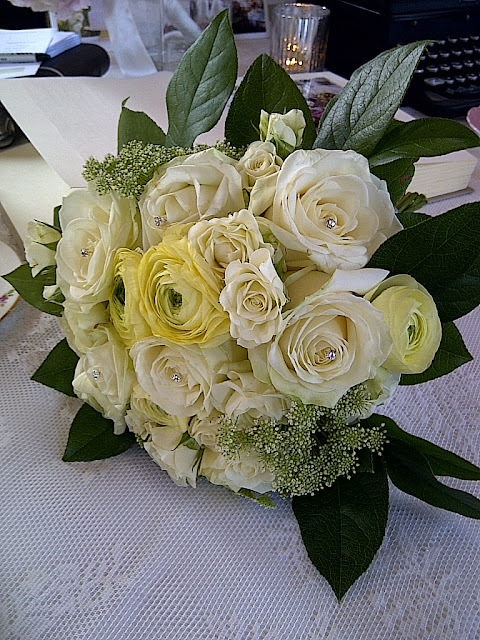 Another chair back arrangement in a fresh, country garden style..